What is E-cise? E-cise is short for an “Egoscue exercise” or, in another interpretation, an “easy exercise”. Static Back is one of my favorites. It is an e-cise that you can find in all of the Pete Egoscue books. It looks very easy and for many people it is. But don’t underestimate its effectiveness. Static Back is one of the “silver bullets” exercises for pain relief: whether it’s back, shoulder, neck, or hip. The main purpose of it is to allow the body to relax and use gravity to settle the torso down to the floor. Static Back uses the floor as a template to bring the back, spine, hips, shoulders, head, and neck to a neutral position. Some of sciatica sufferers know about this e-cise even before they come to me for a visit. 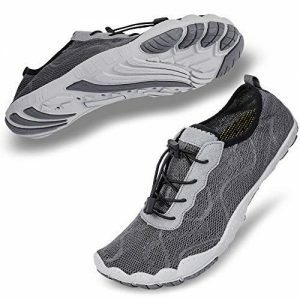 Not many people know that it also releases the compensating muscles that are interfering with the gait pattern of foot and ankle. Try Static Back for a few days a see how it feels. You will need a chair, bench, or a block for this e-cise. Get down on the floor, lie on your back, and put legs on a chair, bed, or bench to create right angles at the hip and knee joints. The upper legs should be against the chair and calves and heels on the chair. Knees and ankles are hip-width apart, feet relaxed. Arms are palms up, at 45 degree angle from your body. Relax and stay in this position from 5 to 30 minutes. Important: breathe from your diaphragm – the abdominal area should rise as you inhale and fall as you exhale. Give yourself a treat after a long day in the office – get into a Static Back, it is truly a feel-good position. You can close your eyes and meditate. 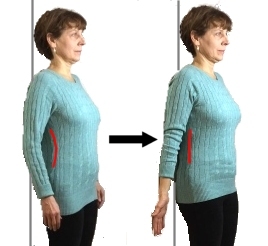 What you are trying to achieve is to settle hips and low back evenly (from left to right) on the floor. Static Back allows your spine to get into a neutral position and upper torso to relax. If needed, you can put a rolled towel under the neck and/or low back. Be aware, that while very rare, even this passive change of joint position might trigger some uncomfortable reaction. It can be a tingling sensation in the arm or shoulder, or discomfort in the low back or hip(s). If that happens, use your own judgment. You can either stop it altogether or start with shorter time and gradually increase it. Your body is an ultimate judge of what works for you and what does not. Please let me know if you have any questions about Static Back e-cise, whether you liked it or not, and what you experienced doing it. Be Healthy. Be Active. Live Pain Free. I have a long history of lower right back pain. 3 weeks ago I was in pain at a level 7out of 10. 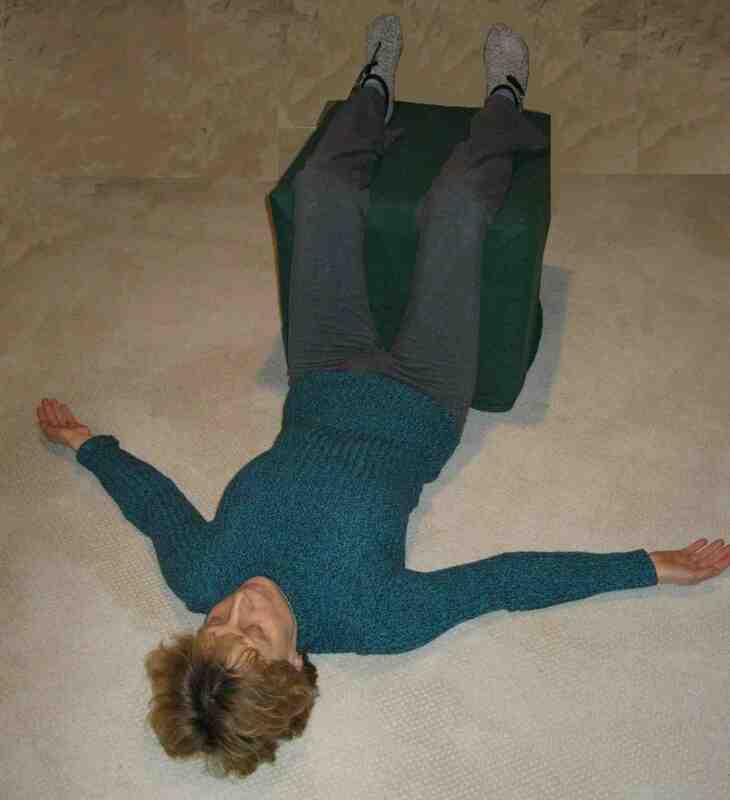 An exercise phiologist friend showed me the Egoscue static back position. I do this twice a day for 15-20 minutes. Today I am at a level 0-1 back pain. I and the neurologist I was seeing are totally amazed. I will continue this process & we have now included additional positions & exercises to strengthen muscles that are weak. Thank you so much for your amazing program! Thank you for such a powerful testimonial. Pete Egoscue Pain Free method helped thousands of people all over the world to live happier, healthier, and pain free lives.